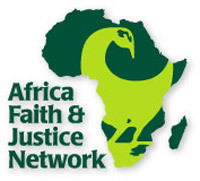 The 2013 conference of the Africa Faith and Justice Network (AFJN) will be hosted by the University of Notre Dame this weekend (March 1-3). The 30th annual AFJN conference, “Justice for Africa: Justice for the World,” will bring together some 200 scholars, religious and social workers, and policymakers to discuss and reflect on issues of peacebuilding, human rights and social justice in African countries and communities. Cardinal Peter Turkson of Ghana, president of the Pontifical Council for Justice and Peace and reputed papabile, or plausible candidate for election as Pope, had planned to attend and give the keynote address at the conference, but was unable to do so due to the upcoming conclave in Rome for the election of Pope Benedict’s successor. AFJN is a community of advocates for responsible U.S. relations with Africa. It works closely with Catholic missionary congregations and numerous Africa-focused coalitions of all persuasions to advocate for U.S. economic and political policies benefiting Africa’s poor majority, facilitating an end to armed conflict, establishing equitable trade and investments and promoting sustainable development. Originally published by Michael O. Garvey at newsinfo.nd.edu on February 28, 2013.